It’s only been a couple months since the last “season” of Taskmaster (UK) finished*, but the hilarious celebrity-challenge-show has already returned to our screens for its seventh (10-episode) outing! ** Yay! 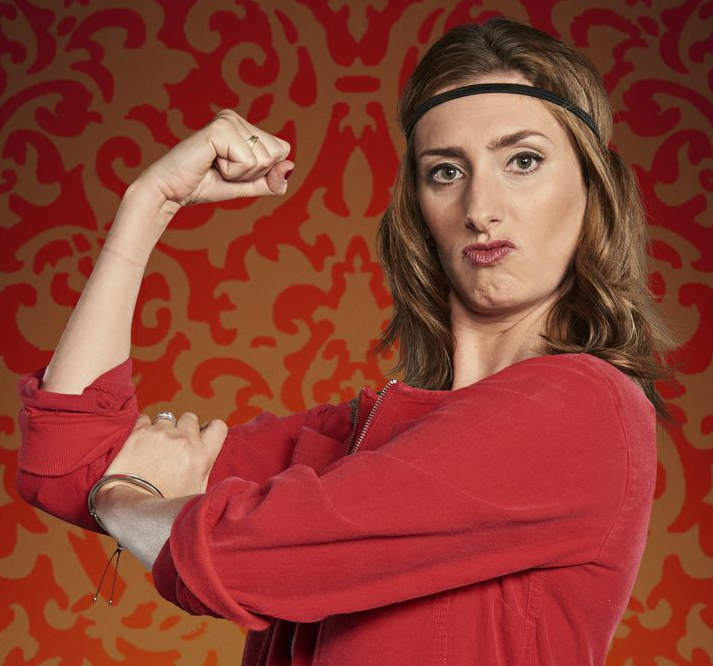 This time around, the (still outnumbered) lady-contestants are: oddly-intense comedian/actress Kerry Godliman, and easy-going/goofy comedy-writer/actress Jessica Knappett… who’s probably my fave of the current competitors at this point, though I’ve only watched one episode so far. Shamefully, I haven’t seen much of Drifters, the Ch4 sitcom that Knappett created and starred in (from 2013-16), but I’ve enjoyed her guest-appearances on various other quiz/gameshows since then, so I really should make the time/effort to view more of her own work… damn me! If nothing else, her promo interview for this show is straight-up adorable (and, no, I couldn’t answer any of those questions with any confidence either)! * On July 4th, to be precise, with Liza Tarbuck taking the big-head trophy home, after suffering through one of the most blatant and inexcusable examples of “invisible woman syndrome” ever documented on television… the abbreviated YouTube clip doesn’t quite do it justice, but it really was an extremely galling thing to sit through at the time! ** Not counting the “Champion of Champions” specials, obvs. This entry was posted in Rants about TV and tagged Jessica Knappett, Kerry Godliman, Liza Tarbuck, Taskmaster. Bookmark the permalink.